Printer and labelling functions for an optimal HACCP control. 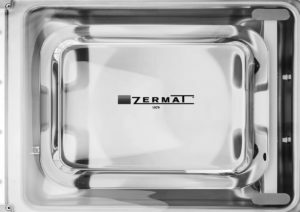 All range of ZERMAT vacuum packaging machines (except SMALL - JazzVac series) have the option of connecting a self-adhesive label printer as an option. For this option the machine must be equipped with the LED control panel (optional). 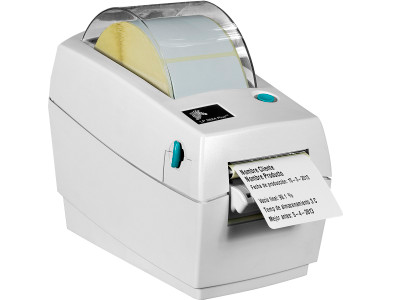 At the end of the packaging cycle and after opening the lid of the machine, the printer supplies the user with the necessary labels. The data to be printed is programmed through the control panel in the packaging machine. You can store up to 100 labels, and relate these with each packaging program. The printer is synchronized with the packaging machine through an USB connection port. Text line 1 at the customer's choice. Text line 2 at the customer's choice. Percentage of vacuum made in the bag. Percentage of Gas injected into the bag (if applicable). Ideal conservation temperature of the bag. It is possible to program the output of as many labels as bags are being packaged per cycle. Up to 100 labels can be stored and related to each packaging program.